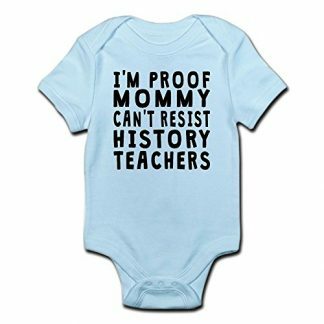 Make a long and lasting impression to the best history teacher you know with this unique gift item. 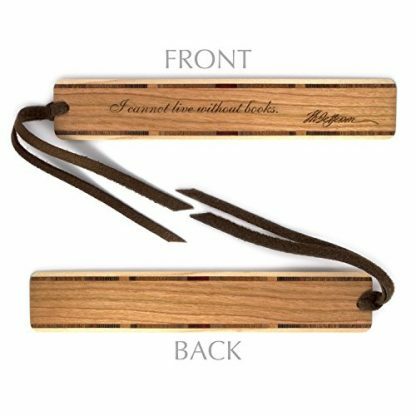 This bookmark is made from the finest hardwood with a laser engraving of Thomas Jefferson’s quote, “I cannot love without books.” At one look, you know you will love it and so will your teacher. 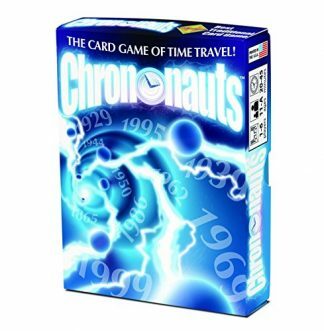 The digital age that has everyone thrilled and excited about at more or less half a century ago, has finally come and overtaken a lot of things – including things that we enjoyed most. In keeping up with the fast-paced lifestyle, even books now have electronic copies to make reading more convenient, without having to cram our bags with their weight and bulk, and for a reading session that can be done any time and anywhere. 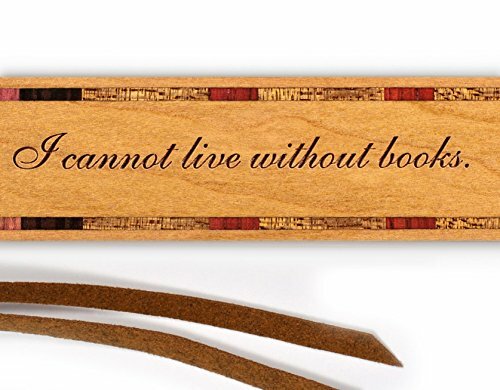 Thing is though, nothing still beats the old-fashioned way we enjoy reading books. 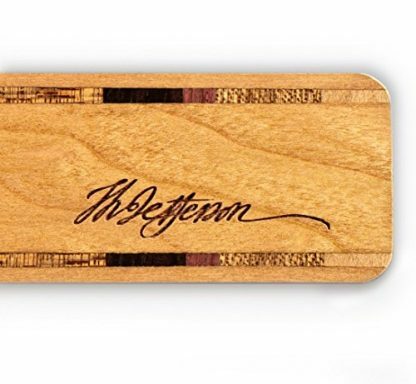 We still like them hard, bound, and most of all, tangible. There are still many who prefer hard copies over soft copies. It’s the smell of the pages of the book that makes all the difference to some. 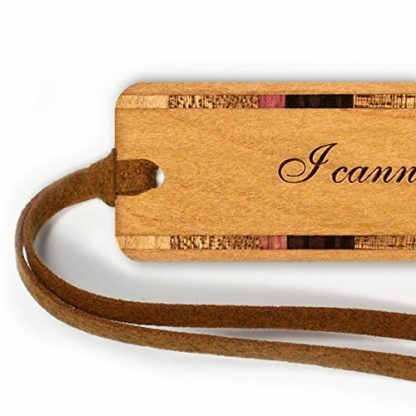 It could also be how they are able to trace the lines of words inked on the pages with their fingers. 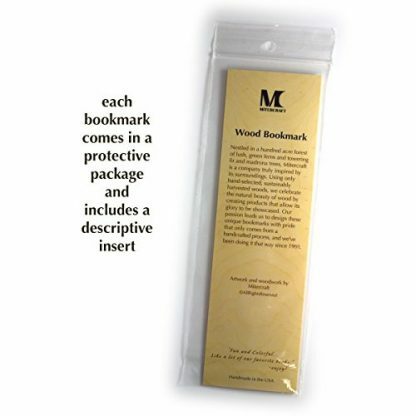 To others, it’s the old-fashioned bookmarking that they miss the most. 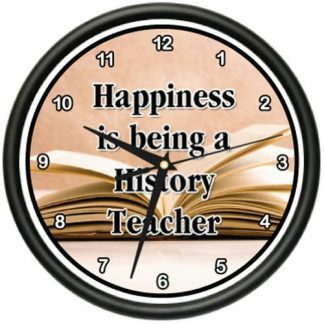 If you are on a hunt to look for that perfect gift to give to your history teacher who appreciates the old-fashioned way of things, there’s no more need to look for a perfect gift elsewhere.